A CONSUMER WELFARE SOCIETY is located in Delhi . A CONSUMER WELFARE SOCIETY is registered as a Society at Delhi of state Delhi with Ngo unique registration ID 'DL/2009/0011084' . 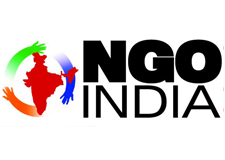 The NGO registration is done by Registrar of Societies with registration number 66644/2009 on the date of 21-08-2009, Its parent ORganaisation is PaulFoundation. The Chairman of A CONSUMER WELFARE SOCIETY is Bhanu Pratap and Chief functionary officer is Bhanu Pratap. We are running India biggest online Consumer Forum with more then 7500 registered members and handle nearly 1500 unique visitors a day.